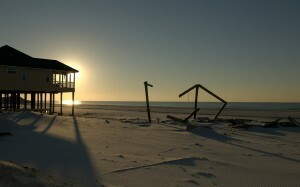 The area from Panama City to Pensacola is also called "The Wreck Capital of the Gulf Coast”. Diving in this area is about wreck diving. The most famous wreck in this area is the aircraft carrier USS Oriskany, whcih is the largest artificial reef in the world. The Summer is best for diving the Florida Panhandle, which is from May to September. Both June and July are great times to dive with good weather and warm waters. USS Oriskany Deliverance Navarre Empire Mica If you are crazy about wreck diving, plan for the Panhandle Dive Trail, visiting the highlights of the region.